As I mentioned in yesterday’s blog post, I’m so happy that I finally finished my master’s! And I’ll be returning to blogging much more regularly now. So to celebrate all that, I thought I’d do a little giveaway! I’ve got a copy of The Hunger Games for one lucky reader. I picked up this book when I heard it was being turned into a movie, and I devoured it in one go. It really was one of those books I just couldn’t put down. 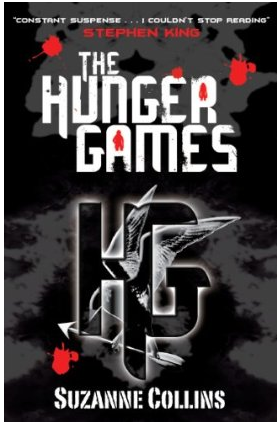 It’s set in a sort of post-apocalyptic world, where each year the Hunger Games are held: a broadcasted fight-to-the-death between 20 kids from 10 districts. Think Battle Royale meets Big Brother. To enter this competition, all you need to do is leave a comment behind answering “which posts would you like to see more of on MissGeeky?” I’d love to hear what posts you like best and you’d like me to focus on in the upcoming weeks. Feel free to also suggest stuff I might not have written about before, as long as it’s geeky! You’ll also get a second entry if you’re following me on Twitter and tweet about this giveaway with the hashtag #missgeeky. The competition ends on October 5th 15:00 after which I’ll randomly draw a winner.